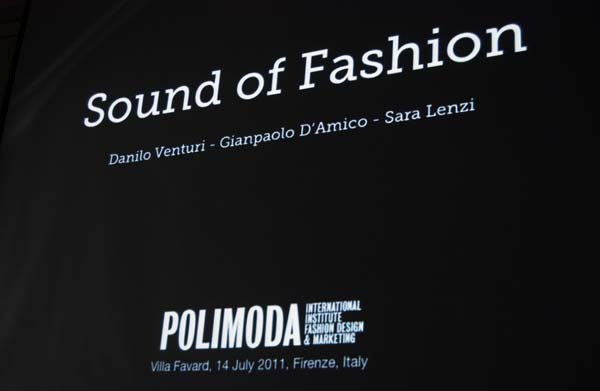 I will be teaching a foundation course on sound design and sound branding with a particular focus on its potentialities for fashion art direction at the international fashion institute Polimoda (Florence) this year. I am happy to have contributed with an intro text to this special sound branding project by the artist and sound designer Chiara Luzzana for IskoDenim. Quite a visionary and brave project, a first time ever by a fashion brand. Hope there’s more to come! 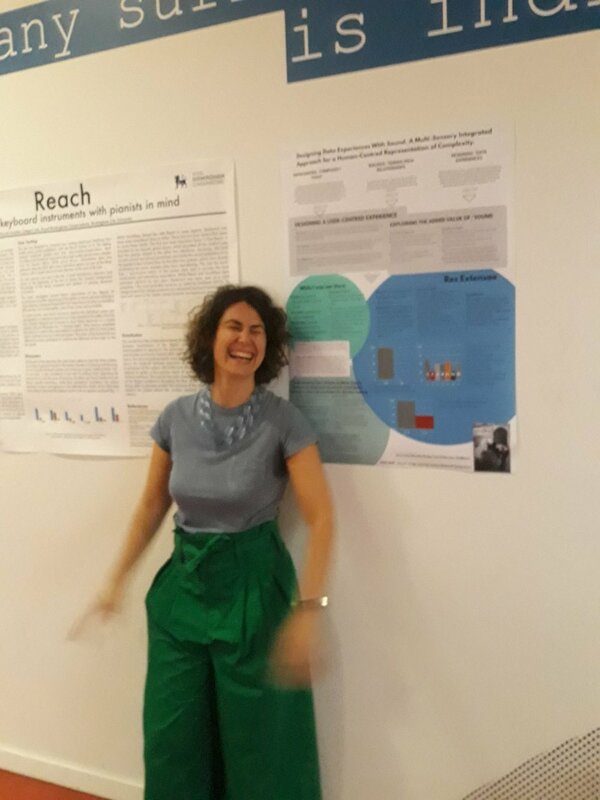 I had the opportunity to present my research on Data Sonification at the 2019 edition of 2CO - Communicating Complexity Conference held this year at Density Design Lab at the Politecnico di Milano. This time, the presentation focused on our latest project of sonifying cyber attacks alerts for water plants infrastructure. I was invited to present my research on data and sonification to the first edition of MicroMesoMacro - Exploring the frontiers of data representation which took place at IXXI - École Normale Supérieure de Lyon in November 2018. Presentation can be read here. It was a great pleasure to be at S-IIDS at the Madeira Interactive Technology Institute. Great to engage with the community of peers about my perspective on data, humans and sound. You can read a short version of the presentation in the poster, here. 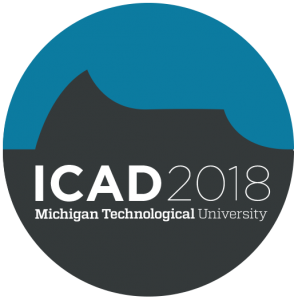 I took part together with Francesca Gleria to the 2018 edition of the International Conference on Auditory Display with the paper “Humanising Data through Sound: Res Extensae and a User-Centric Approach to Data Sonification”. You can read the full paper here. Moving Artists is a project dedicated to raise awareness on the need to protect the living art practice in areas of conflict. Headquartered in Bilbao and operating in Iraq Kurdistan, with explorations in Afghanistan and Venezuela, it has started its first residency program in 2018. At the intersection of human rights and art, we create on-going channels of movement and mutual interaction between artists under threat and those outside. Mentoring the team dedicated to the Muse (Trento Science Museum) challenge for Trentino Open Data Hackabot, the first hackaton dedicated to chatbots for the public administration. March 2018. 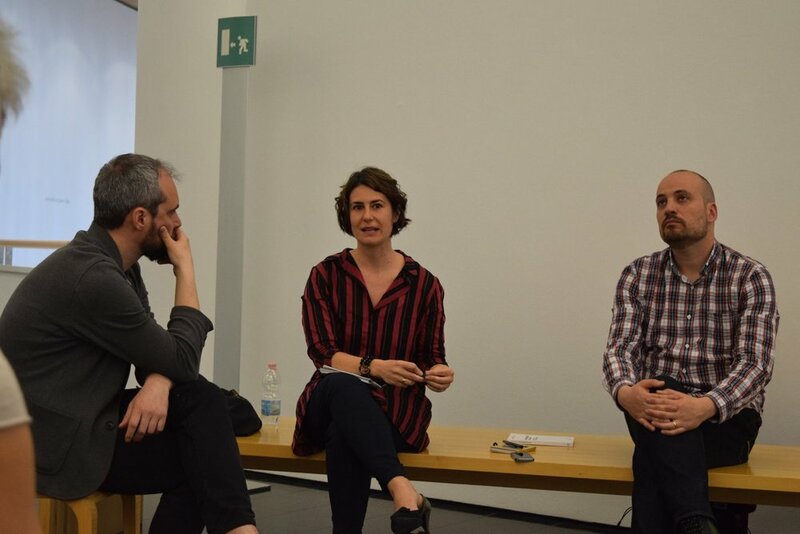 Presentation of the book Nuove Geografie del Suono (New Geographies of Sound) by the Italian curator and writer (and my good friend) Leandro Pisano at MART - Museo di Arte Contemporanea, Rovereto, Italy. 2017. The book critically reviews two decades of investigation and experimentation in sound art in unexpected “southern” (non Western) countries which might, or might not be, in a real geographical south. A consultancy project for the Singaporean-Lankan startup Cyrup on both product development and business strategy for TILTIT, an integrated IoT sensors and analytics project for the physical/digital retail space. Designed in June 2017. Watch a video of the full TILTIT journey here. Taking part as an external jury member and mentor for the freshmen projects crits at the Innovation in Design course at Singapore University of Technology and Design (SUTD) under the supervision of prof. Juan Sàdaba, academic year 2015 and 2016. As marketing director of the Singapore startup Sonoport, I helped raising a $3M investment and worked side by side with the product design and the IT team to develop a number of Web Audio experiences among which the app Sonigram: instantly sonify your gifs and share on social media. The role included: market analysis, product research, marketing campaigns, product development, business modelling. 2015-2016. Author of the Audio Branding Yearbook introduction, 2014/2015. The yearbook is published after the annual Audio Branding Congress which gathers the industry representative (and a growing public) of the world of sound branding. A participative project on Urban Design in Asia, 2014. Interviewed with Juan Sadaba of nerei by the awesome Antonio Bernacchi and Alicia Lazzaroni of INDA - International Program in Design and Architecture in Bangkok. The English - speaking, ten years old Italian publication on sound communication, founded by Sara Lenzi together with Gianpaolo D'Amico in 2006, now one of the reference magazine in the world of sound design for communication, and soon a book. Business design and development in South East Asia. Birloki is an award-winning system of interactive urban points, an integrated smart platform for the city of the future. Now installed in Singapore, Spain, soon in Vietnam. Lecturer at the Music Technology, Faculty of Music (BA) and at the Puttnam School of Film (BA) of the Lasalle College of the Arts, Singapore, from 2013 to 2015. Subjects: Sound Design for Film, Computer Music Composition, Digital Audio Production. Nominee for the MAB Award 2014 in the category Future Cities with the interactive urban furniture platform Birloki. Poster session for the Venice congress Ubran ixD City Data Future. Venezia, 2013. A short story on the sounds we live immersed in, especially in winter and especially in the Alps, for the Trentino magazine WELLcome very first edition, Winter 2013. An interview for the Italian Design and Architecture Magazine "Ottagono", special Issue 03/2013 on sound and space. 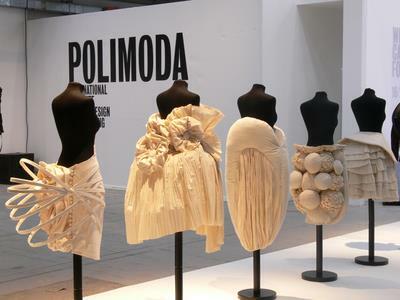 A conference-workshop on sound&fashion for the students of the Polimoda Fashion Institute in Florence, Italy. 2013. A presentation of several Soundwalks conducted in Florence with children during the Tempo Reale Festival 2011. Soundwalk is a listening practice to discover the soundscape we all live in and become more aware of our listening capabilities. Presentation of the selected case "Sound for Electric Vehicles" at the Audio Branding Congress in Hamburg, 2010. Interviewed by Wired Italia, n. 15 May 2010. Interviewed by D La Repubblica, n. 715, 2010. 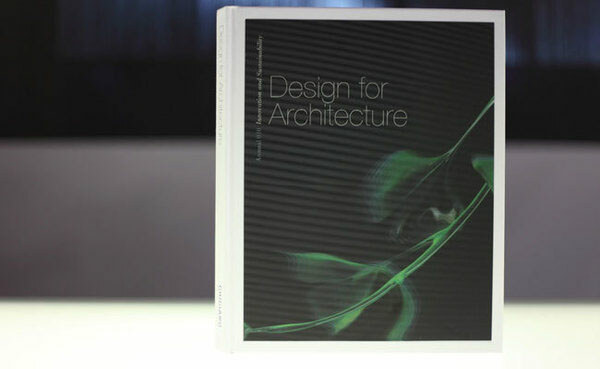 Featured sound designer in Design for Architecture by Giugiaro Architettura, 2010. Abstract from Time Design performance at Design o' the times panel, Interferenze new arts festival, July 2010, Italy. Awarded with Premio Raffaello 2010, dedicated to the Made in Italy excellency. A workshop for the Creativity Festival 2008, Firenze, Italy. 2008 Struttura Organica Festival: The Living in the Digital Sea. Author of the paper: "A Threnody to Listening".